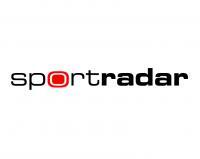 Sportradar is a global leader in understanding and leveraging the power of sports data and digital content for its clients around the world. The Sportradar group is a truly international organisation, employing over 1,900 people in more than 30 locations around the world. Our rapid growth is driven by technological innovation and a deep understanding of our clients’ business needs. It is our commitment to excellent service, quality and reliability that makes us the trusted partner of more than 1,000 companies in over 80 countries. We occupy a unique position at the intersection of the sports, media and betting industries. Apart from that LAOLA1.at belongs to the Sportradar group since 2016. LAOLA1.at is the largest sports portal and leading sports content provider in Austria. With about 2 million unique clients, 8 million visits and 45 million page views, our sports network is the number one in Austrian (online) sports.